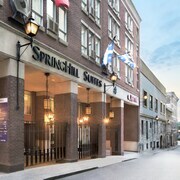 Located in Old Montreal, this luxury hotel is steps from Palais des congres de Montreal and The Underground City. Notre Dame Basilica and Sainte-Catherine Street are also within 10 minutes. Square Victoria Station is only a 3-minute walk and Place d'Armes Station is 6 minutes. 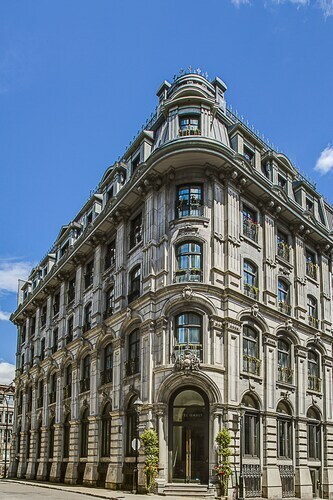 This European-style hotel is in the heart of Montreal and behind the Notre-Dame Basilica. The Old Port and convention center are within 3 blocks, and Chinatown is within 1 km (a half-mile). Place d'Armes metro station is nearby. Locally owned and operated, this 105-room boutique hotel--created in 2002 from two Old Montréal buildings dating from the 1840s--lies within a block of the Old Port and Notre Dame Basilica. 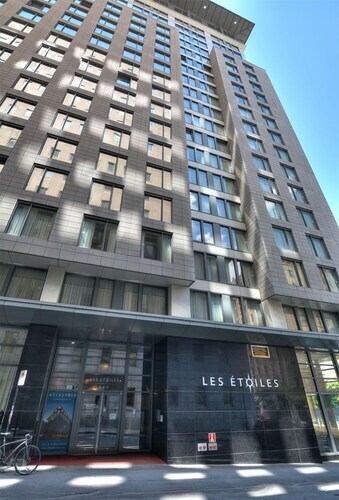 This family-friendly Montreal hotel is located in Old Montreal, within 1 mi (2 km) of Notre Dame Basilica, Christ Church Cathedral, and Bell Centre. Olympic Stadium and Montreal Botanical Garden are also within 6 mi (10 km). Place d'Armes Station is only a 4-minute walk and Square Victoria Station is 6 minutes. 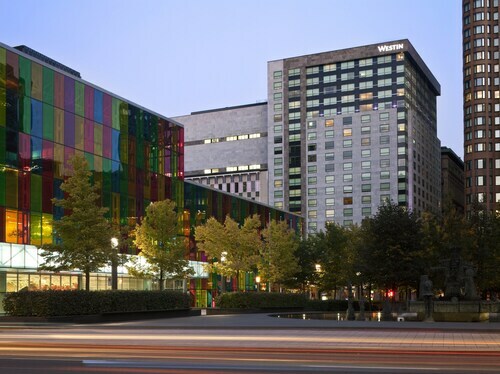 Surrounded by the cobblestoned streets of Old Montreal, Le Westin Montréal is opposite Palais des Congrès, the city's largest convention center. 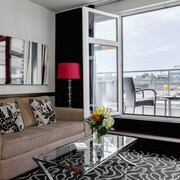 It's a 5-minute walk to Notre-Dame Basilica from the hotel, and 10 minutes to the Montreal Museum of Contemporary Art. 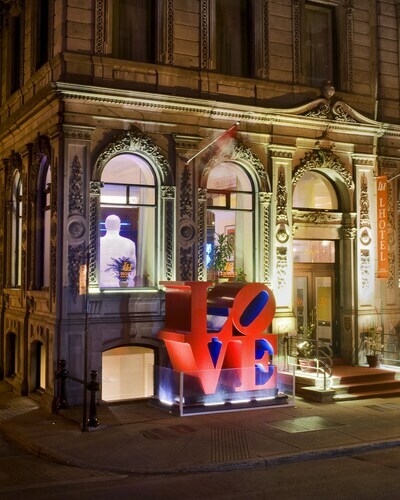 Located in Old Montreal, this hotel is steps from Centaur Theatre and Notre Dame Basilica. The Underground City and Old Port are also within 10 minutes. Place d'Armes Station is 7 minutes by foot and Square Victoria Station is 10 minutes. 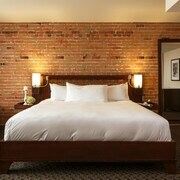 Located in Old Montreal, this romantic hotel is steps from World Trade Center Montreal and The Underground City. 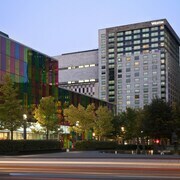 Palais des congres de Montreal and Notre Dame Basilica are also within 10 minutes. Square Victoria Station is 6 minutes by foot and Place d'Armes Station is 9 minutes. 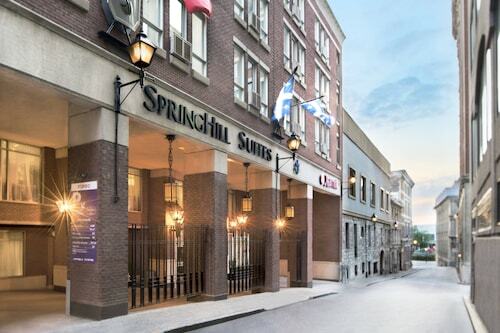 This family-friendly Montreal hotel is located in the historical district, steps from Jacques Cartier Square, Old Port of Montreal, and Old Port. Notre Dame Basilica and The Underground City are also within 10 minutes. Champ-de-Mars Station is 10 minutes by foot and Place d'Armes Station is 10 minutes. 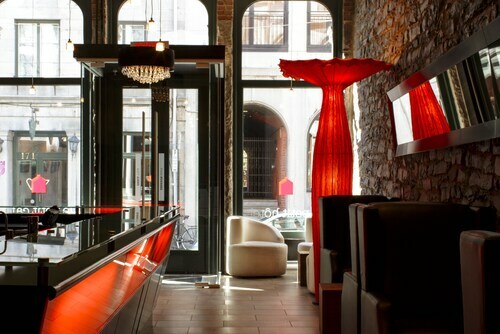 This smoke-free boutique hotel, in the center of Old Montreal, is 2 blocks from Notre Dame Basilica and 3 blocks from Palais des Congrès. 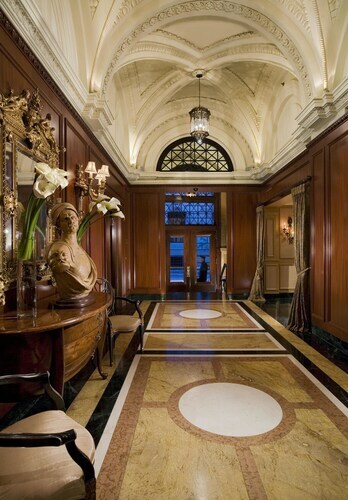 Located in Old Montreal, this spa hotel is steps from Palais de Justice and Old Port. Montreal Science Centre and Notre Dame Basilica are also within 5 minutes. Place d'Armes Station is 8 minutes by foot and Champ-de-Mars Station is 10 minutes. Built in the 1800s, the Notre-Dame Basilica of Montreal is a 5-minute walk from Le Petit Hôtel. The cathedral is in the heart of Old Montreal’s cobblestoned streets, galleries, boutiques, and cafés. 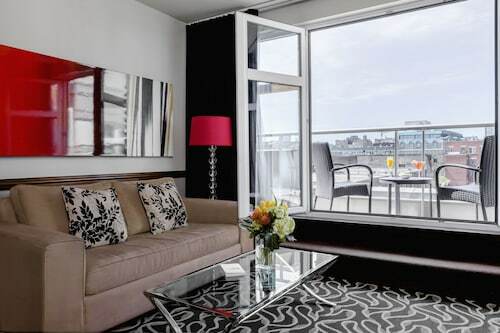 The waterfront is a 5-minute walk from the hotel, and Bonsecours Basin Park 5 minutes more. How Much is a Hotel Room in Old Montreal? 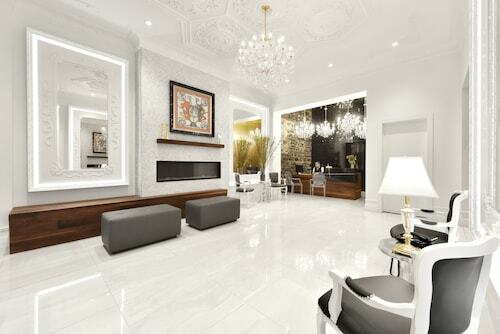 Hotels in Old Montreal start at $133 per night. Prices and availability subject to change. Additional terms may apply. 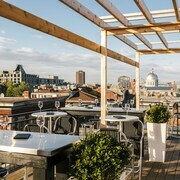 The French have a saying, “La vie est trop courte pour boire du mauvais vin.” Translation: “Life is too short to drink bad wine.” As you lounge comfortably on the terrace of a charming restaurant in Old Montreal, drink deep from your glass and let the rich flavors of wine and city converge. Like a well-aged bottle of pinot noir, Old Montreal is layered with many textures and requires a mature palate to fully appreciate how they all come together. 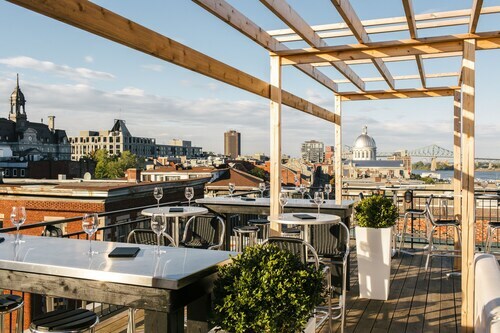 Under the twinkling lights of the terrace, you will be sitting in the oldest part of Montreal, surrounded by buildings and monuments that have watched centuries bloom and fade. Travelocity will help you find big savings on Old Montreal hotels, so you never have to hesitate before refilling your glass. On warm summer days in Old Montreal, the Place Jacques-Cartier is alive with motion, color, and sound. Here is your starting point, where you can see the vibrancy of Montreal’s spirit come to life in the crisp gestures of mimes, the soft crooning of musicians, and the whirl of acrobatic performers. After using Travelocity to save on hotels in Old Montreal, you’ll have extra money in your pocket to tip the performers who capture your interest. Old Montreal is filled with monuments to the past, but don’t just snap pictures. Tuck your camera away, and let the history wash over you. Feel the footsteps, the dreams, and the lives of the city’s earliest pioneers play out in your imagination as you look at their glorious accomplishments, like the ornate Notre-Dame Basilica and the proud clock tower. Some of the best hotels in Old Montreal have stories of their own to tell from across the generations. When it is time to break out from the past, rent a car in Old Montreal to sip the flavors of new destinations. Travelocity is always at your side, with car rental, flight, and Montreal hotel deals. The location was excellent. Room had view of the water. Restaurant was part of hotel. 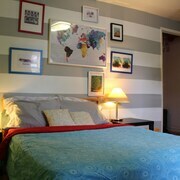 Excellent place to stay with access to all tourist spots. Hotel staff were extremely helpful and friendly. Nice Hotel, great location to convention center and old town. Location is excellent, close to Metro, and the Old Montreal Area, the property is clean and well equiped, the only issue that we had was with the air conditioning control in the living room, was not working properly.